Impress your guests by decorating your bedroom with this bed sheet and pillow covers set. It has an elegant floral print pattern that is complemented by a nice combination of shades. 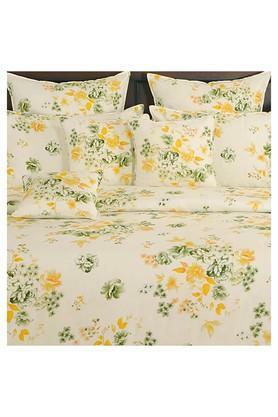 Crafted from a premium quality fabric, it is easy to maintain. Dimensions: Bed Sheet - 229 x 274 cms, Comforter - 229 X 254 cms, Pillow Cover - 46 x 71 cms. 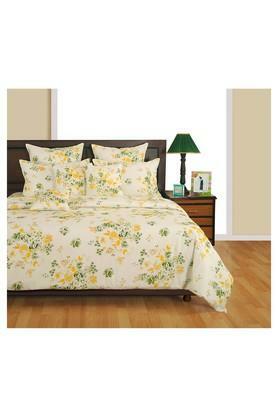 Flaunt your home decor skills by bringing this bed sheet with pillow covers set from the house of Swayam.